The Canine Unit is staffed by police officers who handle 11 canines. The canines are available on a 24-hour basis to assist with searching for evidence, tracking suspects, locating missing persons and seeking hidden explosives and narcotics. 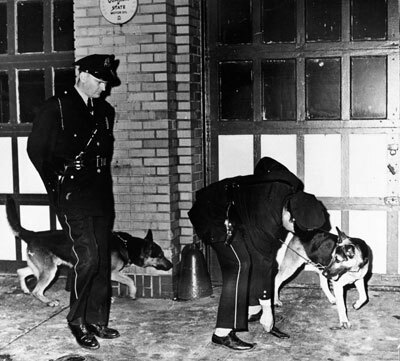 In 1958, policing in St. Louis forever changed with the employment of police dogs. The use of dogs by the department began after the Board of Police Commissioners selected and sent five St. Louis Police Officers to London for the purpose of viewing that city’s canine program. The officers were impressed with what they saw and thought it was a great crime-fighting initiative to incorporate into the department’s policing strategy. After the officers returned from England, they petitioned the Board of Police Commissioners to start a canine program in St. Louis. 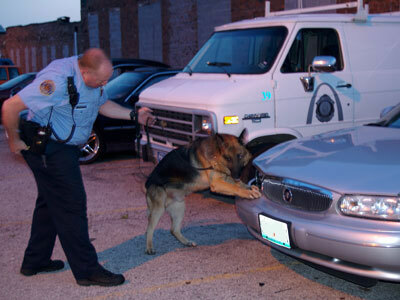 The Board approved the officers’ request, and the St. Louis Police Canine Section was formed. Today, the department’s canine program is recognized as one of the best in the country. In 2008, the Canine Unit celebrated 50 years of dedicated service. The Canine Unit selected the German Shepherd as the unit’s preferred dog because of its eagerness, fearlessness and self control. 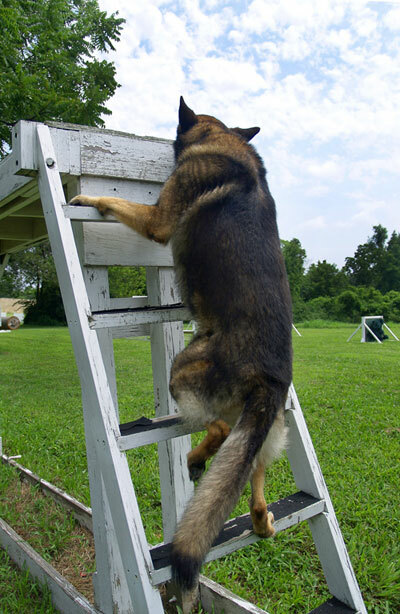 German Shepherds also possess various mental and physical attributes that makes them a perfect partner in the department’s fight against crime. The canines and their handlers spend countless hours working together and training in order to become efficient partners. The canines and their handlers also receive ongoing training after they have become “partners” in order to provide the best possible service to the department. 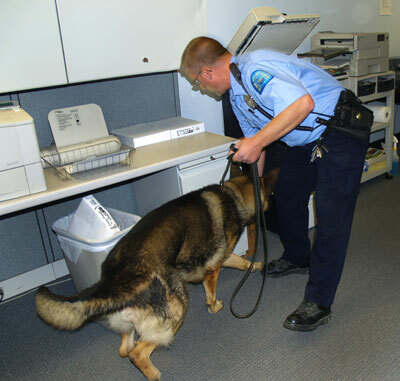 Canines play an important role in both solving and preventing crimes.